It’s only been a couple of months since Bethesda’s latest release, Fallout 76, and already we’ve seen the game reach incredible discounts up to 50% off the retails price. 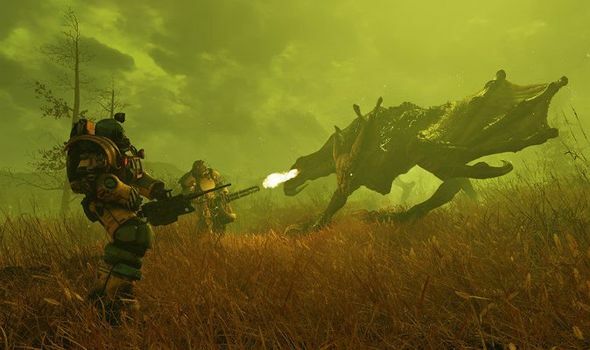 However, it seems a recent rumor regarding multiple EB Games stores in Australia have been pulling new copies of the game off shelves; leaving some to think Bethesda is gearing up for a free-to-play model for the multiplayer Fallout title. In a video from popular Youtube channel, The Quartering, the curious action of removing the game from the shelves is highlighted and leaves many interested in the future of Fallout 76. While it’s only been a couple of mouths breathing this rumor about the popular video game store chain shedding its Fallout 76 copies, other online marketplaces have also mysteriously found themselves running low on stock. Fallout 76 is the series’ first endeavor into the online multiplayer world, allowing players the chance to jump into the largest map ever created in a Fallout game. The expansive world of West Virginia in Fallout 76 didn’t release to the same positive attention as the other titles in the franchise, as many critics diced the game for broken gameplay, lack of single player direction, boring and repetitive objectives, and a world that seemed lifeless, albeit, a little tiresome in the middle of the post-apocalyptic playground. Bethesda has acknowledged many of the issues with the game early on and consistently provides free updates to the game’s ongoing structure problem. Could going free-to-play fix the lack of player base that plagues the game, or will it just create more problems for Bethesda by peeving off the thousands of players who paid for the game only two short months ago. Whatever may be the case, the idea of Fallout 76 going free-to-play should be taken with a grain of salt as no reputable sources have yet to come forward with any more information. If you were considering picking up Fallout 76, however, it might be worth it to hold off a little bit longer to see how this all plays out.